Found one file extension association related to Phrogram and 1 file format developed specifically for use with Phrogram. Phrogram is development environment that allows users to programming apps and games for Windows, in Java, C++, Visual Basic and other languages. 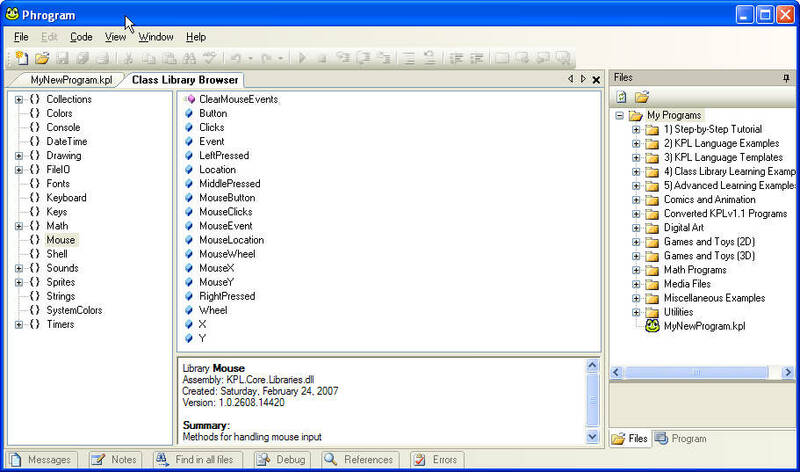 It is used for e-learing of programming. If you want to make games or other programs for your Windows PC, you could start with Java, C++, or Visual Basic - but their "syntax" (how commands must be written) can be very challenging. You will also need to learn how to use a complex "development environment" like Visual Studio or Eclipse - great for big projects, but not for getting started. The Phrogram software seems to be old or discontinued. If you need more information please contact the developers of Phrogram (Phrogram Company), or check out their product website.